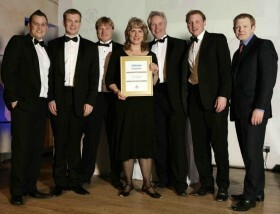 Welcome to our trophy shelf and a few ‘photos of celebs. 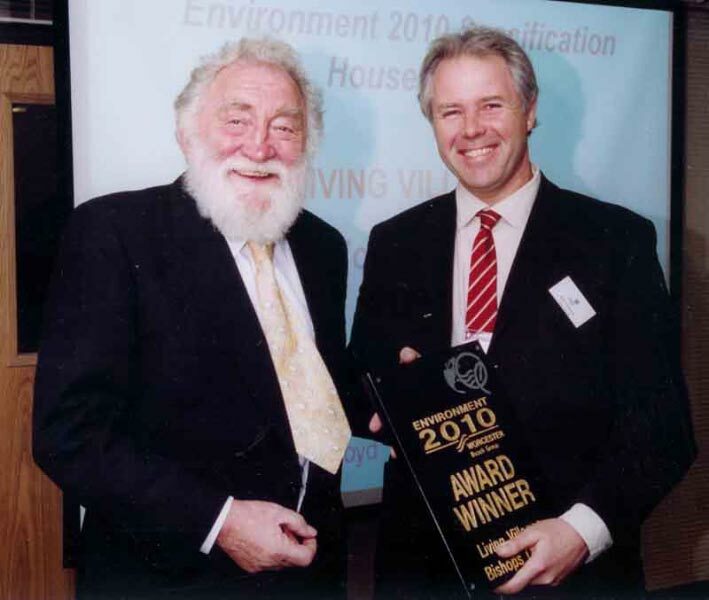 Environment 2010 – David Bellamy and a young Bob in 2003 or so, despite the year 2010 on the Worcester Bosch plaque! 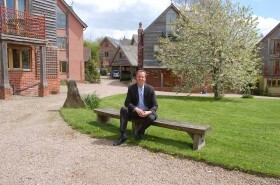 Sustainable New Homes – Kevin McCloud. 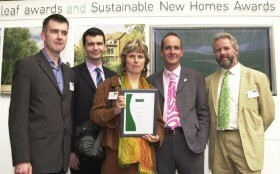 Paul King from WWF, Andrew Mason from Ecostruct and us. 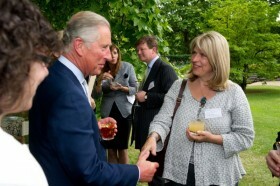 “Quite simply, in the judges’ opinion, Living Villages is the most innovative privately-funded housebuilder currently developing in Britain. 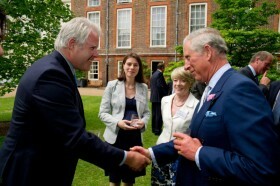 HRH saying hello to Bob … no prizes for suggesting speech bubble content here!